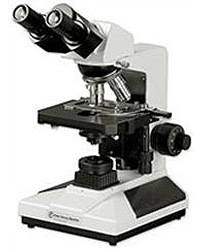 A reflectance-type inspection microscope is available. It has 10X eyepieces and planachromatic 4X, 10X, 25X, 40X objectives. It is set up with a 3 MPixel "QColor" firewire camera and image capture software. No training or checkout is required. Contacts: Everyone in the lab.